“Outside it is winter, but in here it is so hot!” sings the Emcee in the decadent musical drama Cabaret. Asheville Community Theatre turns up the heat this February with the modern classic Broadway musical opening at the downtown theatre on Friday, February 7, 2014. Cabaret will run for 12 performances through Sunday, March 2, 2014 with shows on Friday and Saturday nights at 7:30 pm and Sunday afternoons at 2:30 pm. Tickets are available online, over the phone, or in person at the Asheville Community Theatre Box Office. Cabaret first appeared as a group of short stories written by American author, Christopher Isherwood called The Berlin Stories (1939), then as a Broadway play called I Am A Camera (1951), then a Hollywood movie by the same name (1955), then a Broadway musical finally called Cabaret (1966), then a world-famous movie musical (1972) and a record-breaking Broadway revival (1998) which is due for another revival later this spring starring Michelle Williams as Sally Bowles and Alan Cummings returning from the 1998 revival as the Emcee. Asheville Community Theatre will be producing the 1998 Broadway revival of Cabaret, a version that adds three songs from the 1972 Liza Minnelli movie version to the original 1966 Broadway production. The revival is both a celebration of diversity as well as a cautionary tale of a hedonistic society plunged into the darkness of Nazi Germany atrocities. 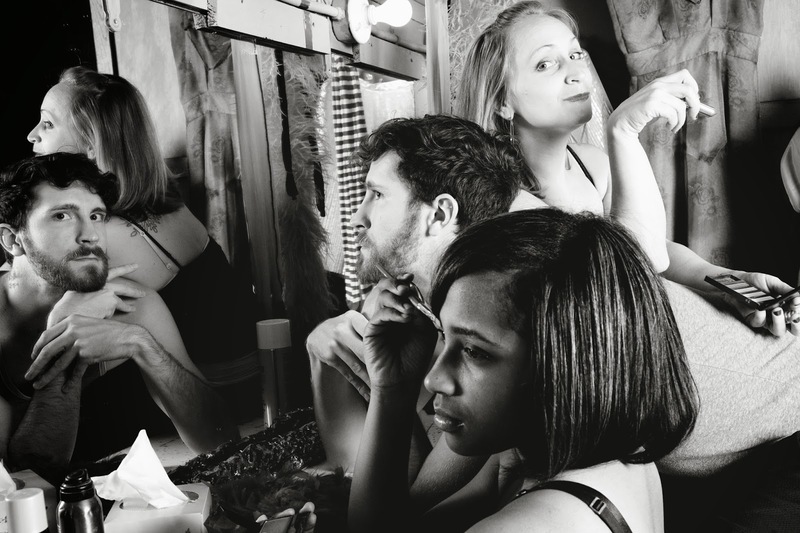 Asheville Community Theatre’s production of Cabaret reunites the artistic team of Jerry Crouch (Director), Lenora Thom (Musical Director), and Kathleen Meyers Leiner (Choreographer). Kevin Moxley makes his ACT debut as the Emcee with Jessica Pisano as Sally Bowles and Mark Jones as Cliff. The cast of 16 includes lead dancers from the Asheville Ballet and powerhouse vocalists from throughout Western North Carolina, many of whom are making their ACT debuts. Asheville Community Theatre last produced Cabaret in 1987, a production that starred current director Jerry Crouch as the Emcee. For more information about Cabaret or about Asheville Community Theatre, please visit www.ashevilletheatre.org.